Low-carbon, affordable and convenient, Zipcar and other car-sharing programs are gaining popularity with Millennials. Photo by tedeytan. The “Millennial” generation is quickly adopting car sharing as a mainstream transportation solution, according to results from Zipcar’s second annual study of the personal transportation and car ownership behavior of 18- to 34-year-olds. The study found that 55 percent of this influential generation have made an effort to drive less, which is a 10 percent rise from 2010. 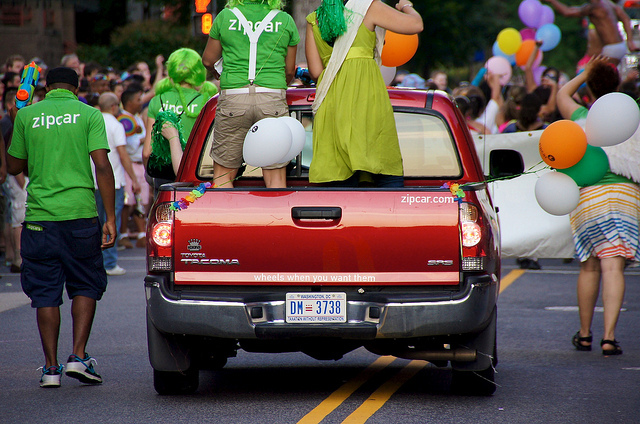 “Millennials are increasingly embracing access over ownership,” Zipcar explained. This is an interesting development, especially since vehicle ownership has been viewed as a “rite of passage” for many Americans. This doesn’t mean that Millennials are completely giving up driving. According to the survey, this generation still values the mobility and convenience of driving but increasingly seeks alternatives to personally owning a car. Millennials account for about 23 percent of the general population and make up more than half of Zipcar’s members. The study surveyed 1,045 adults over the age of 18. In order to match the national Census, the study utilized data weighted by the demographic variable.